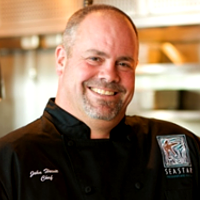 CHEF JOHN HOWIE ANSWERS: CAN WOOD PLANKS BE REUSED FOR COOKING? This is a question I’m asked very often by patrons who come to my restaurants in Seattle WA, to experience the woody flavors of food prepared in this authentic Pacific Northwest style. If they try plank cooking at home, can they reuse the planks? Here are some useful tips on how to re-prep a wood plank to be cooked on for a second or a third time. • This is the side that was exposed to the flame at the time of cooking. Take a planer or a wood file, and scrape off as much of the charred cinder and ash as you can. After you are done, you should be left with a plank that has a rough underside. 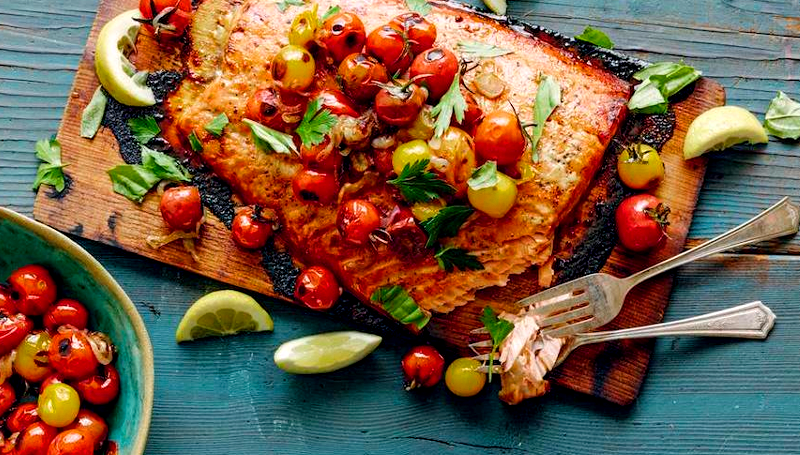 Scraping the wood down in this way will help bring out the natural wood oils – again — that are primarily responsible for the lovely, smoky flavor that is the hallmark of plank cooking. Remember though, that if the bottom is completely charred, the wood oils will not ooze anymore, and that pretty much defeats the purpose of plank cooking. If that is the case, you’ll have to throw out the plank. • Certain foods are stickier than others. For example, fish skin is likely to bubble up and stick to the top surface of the plank. Same sometimes, with fatty meat. In contrast, things like sausages and shrimp will not leave a lot of cooked residue for you to clean up afterwards. A lot of people use regular dishwashing soap and water to clean off the food side of the plank. The problem with that is a lot of the taste-making wood oils can get scoured off too as a result. Simply use a rough dishwashing pad and do a thorough clean up job using only hot water, if possible. • Once the cleaning is done, re-prep the wood plank by soaking it in a tub of water for 1-3 hours. The thicker the plank, the longer you need to soak it. This will help to make the wood start smoking, the next time you use it. • Inspect the wood carefully after the first use. If the plank has warped or cupped then you won’t get much more use out of it. Plus, any curvature on the wood surface means the flavorful juices of whatever you are cooking will tend to run off. A completely charred wood block is a goner as well. *** Buy wood planks, spice rubs, cookbooks and more at Plank Cooking.com.